Jaipur: 19 Specialists working in the state are soon going to face action, including suspension of licenses with the Rajasthan Medical Council for not joining compulsory duty post completion of their course. 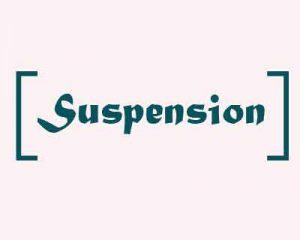 A decision to this effect was taken by the health department on Wednesday, with the state medical council being directed to initiate the suspension procedure. A confirmation to this effect was given by health minister Rajendra Rathore. Based on the quota of in service doctors (MBBS doctors working in rural areas), they received admission in PG courses including Radiology, Anaesthesia, Medicine, Gynaecology and Dermatology. The government rules require them to join government jobs post completion of their course. However, at the time of rejoining, the doctors did not report for government duty despite reminders, Dr BR Meena, director (health) informed TOI. He further informed that reminders were issued by the department on 17th April, 2016 and 21st September, 2016, however, no response was given by the concerned doctors. As a result, government is now taking action against them by recommending their suspension for a period of three months and the same has been forwarded to the State Medical Council for necessary action. To get such CLINICAL Degrees from private Medical colleges, it costs more than a 1 to 2 cores. The Government of Rajasthan should immediately confiscate their property and ASWEL cancel their degrees. Getting degrees at the cost of Tax PAYER\’S MONEY and being absconding should be treated unlawful . Doctors who have studied on got quota and now not serving state is wrong and govt has right to take action.